Another mosquito may carry the zika virus, but more research is needed to confirm the early lab tests, University of Florida scientists say. UF Institute of Food and Agricultural Sciences researchers detected zika in the saliva of southern house mosquitoes collected in Florida. 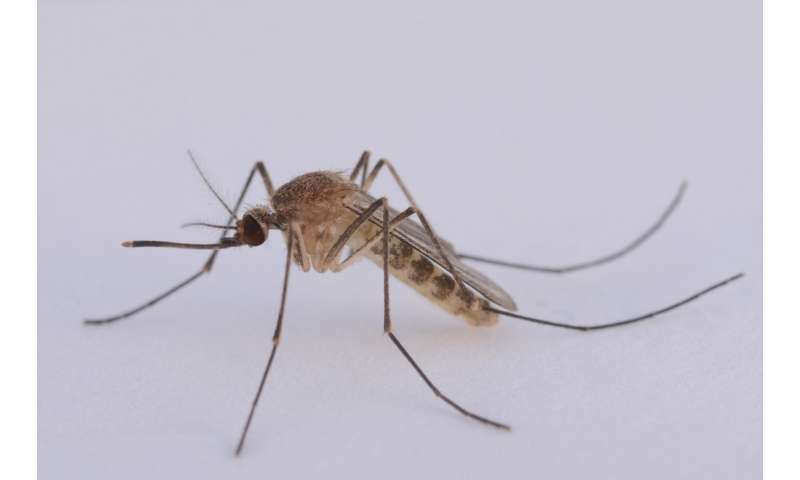 Chelsea Smartt, an associate professor at the UF/IFAS Florida Medical Entomology Lab in Vero Beach, Florida, said her study's finding supports that the mosquito species, known scientifically as Culex quinquefasciatus mosquitoes, can contain live Zika virus in saliva. To date the mosquito species Aedes aegypti is considered the primary carrier of Zika virus. Still, Smartt stresses researchers must perform more experiments to know whether and how much of a role Culex quinquefasciatus plays in spreading zika. In 2016, zika caused cases of microcephaly – a rare neurological condition in which an infant's head is significantly smaller than the heads of other children of the same age and gender—in some newborns in the United States, due in part to traveler-related global spread of zika virus. Her research is published in the journal Frontiers in Microbiology. Get rid of containers in your yard or outside your business, because they collect water and become perfect habitats for immature stages of these mosquito species. Use repellents when you plan to be outdoors when mosquitoes are biting. The longest lasting repellents contain DEET and picaridin. Whatever type of repellant you use, read the label to make sure you're putting on a product registered with the U.S. Environmental Protection Agency.